Former Head of State, General Abdulsalam Abubakar,has revealed how he and others in the National Peace Committee (NPC) prevailed on former President Goodluck Jonathan not to arrest and jail some prominent Nigerians including President Muhammadu Buhari and former Vice President Atiku Abubakar for treasonable felony in 2015. 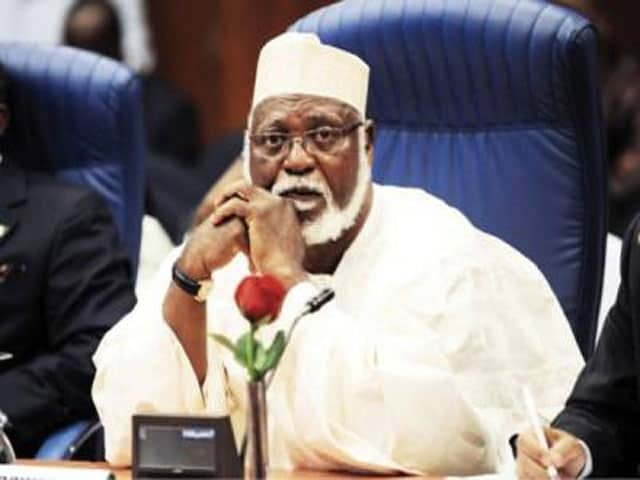 Abubakar, who chairs the NCP, a high level, multi-stakeholder pressure group, said their intervention which was couched in the national interest, saved key members of the then opposition party, the All Progressives Congress (APC), from prosecution for their alleged crimes against the Nigerian state. If GEJ had done this maybe we wont be where we are today. Just maybe.. The revelations came at the unveiling of a report tagged: “2015 General Elections: The Untold Story”, published by National Peace Committee and The Kukah Centre. The presentation of the book came on the heels of a meeting convened by the NPC to rub minds with critical stakeholders in the conduct of the 2019 general elections. The meeting had in attendance the Chairman, Independent National Electoral Commission (INEC), Prof. Mahmood Yakubu, heads of security agencies, and representatives of the 91 political parties in the country. 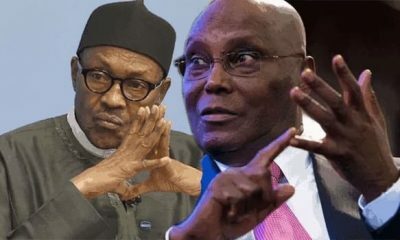 In the report, which is coming barely three and half years after the historic 2015 elections, the NCP disclosed how, at a meeting, President Jonathan cited “national interest” as the reason he stopped his earlier decision to press home charges of treason against the then APC presidential candidate, Buhari, and other leaders of the party, over threats to form a parallel government if they didn’t win the election. “A meeting with Jonathan was held at the Aso Rock Villa in the afternoon of Wednesday, March 25, 2015. At the meeting, he (Jonathan) raised some issues concerning the state of the nation, the threat of violence by the opposition (APC then) based on allegations that he (Jonathan) and his party were planning to rig the elections. 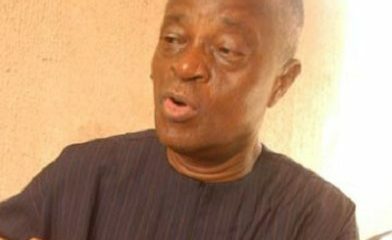 “He (Jonathan) noted that he took very seriously the threat by leading members of the opposition to form a parallel government in the event that they didn’t win the elections, but that he chose not to react to such apparent treasonable acts in the interest of peace,” the report reads in part. 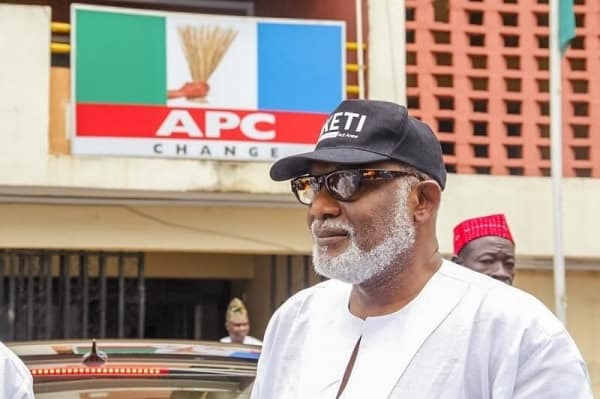 The NCP also disclosed that contrary to the popular narrative in the media, its members did not pressurize Jonathan to concede defeat to Buhari and the APC, but that the then incumbent took the action voluntarily as an act of statesmanship. 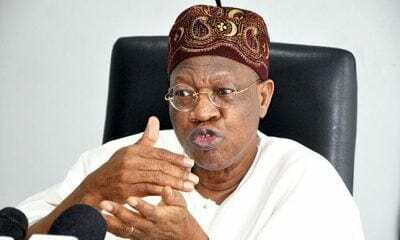 The report said that while the NCP had peace as its primary goal and had consistently counselled all parties to accept the outcome of the elections, Jonathan’s historic call to Buhari conceding defeat took everyone unawares. “The committee, in the evening of March 31, 2015, requested audience with President Jonathan at the Villa. 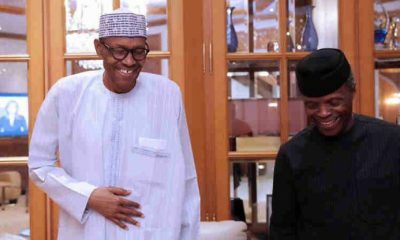 As it awaited confirmation for the meeting with the President (Jonathan) the Committee Chairman, General Abdulsalam Abubakar, (GCFR) also put a call through to General Buhari who informed him that President Jonathan had, only minutes earlier, called to concede the elections. “Shortly after that, members of the committee, who were greatly relieved, headed to the Villa where they met privately with President Jonathan and thanked him for his great courage. “At this point, the Buhari Campaign team were yet to address the press on the historic development and, as such, many Nigerians got the news of the concession from General Abubakar’s brief media chat with State House Correspondents which, perhaps, helped create the wrong, but widespread impression that the committee sat with President Jonathan at the Villa as the results came in and had directly prevailed on him to concede,” the report said. The unveiling of the report was heralded by a closed-door session by members of the NCP, including Abubakar; Bishop of Catholic Diocese of Sokoto, Rev. Fr. Matthew Kukah; former Chief of General Staff, Commodore Ebitu Ukiwe; Publisher of the Vanguard, Chief Sam Amuka, amongst others. 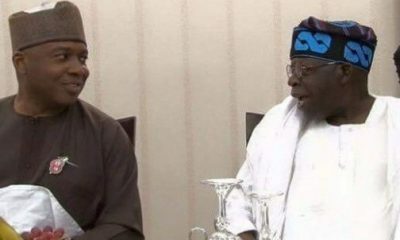 They were joined at the executive session by the Chairman of INEC, Yakubu and Brig.-Gen. Abiidun Lagbaja who represented Lt.-Gen. Tukur Buratai, the Chief of Army Staff. Gen. Abubakar, who addressed journalists after the session, said the essence of the meeting was not only to get briefings from the INEC and security heads, but also to listen to complaints of political parties and contribute appropriately towards a peaceful election. 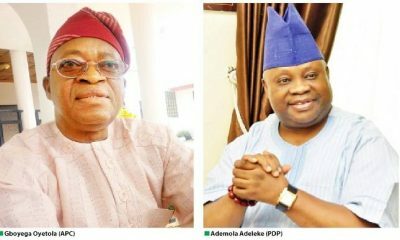 He sued for peace among political actors across the political parties, warning that the polity was already getting charged five months to the 2019 elections. 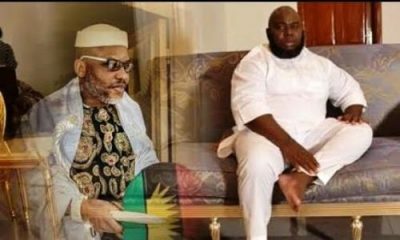 Abubakar charged politicians to play by the rules of the game and avoid actions that could trigger violence in the build up to the elections. 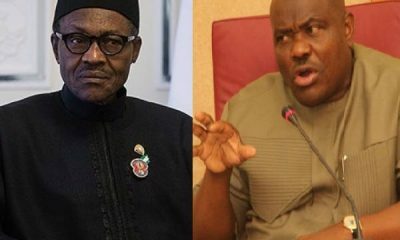 “As you are all aware, we are approaching 2019 general elections and already, you are very much aware of how politics has been heated as a result of which we decided to stop at nothing to ensure that there’s peace in the country and that the politicians play by the rule of the game and also that security agencies and the INEC play their roles accordingly. “This morning (yesterday), we have interacted with INEC chairman and his staff, and also we have security agencies here who have one role or the other to perform in these elections. “As you are very much aware, if there’s no peace in any country, there would be no country at all. So this is the essence of this meeting; to ensure that we are on the same wavelength, to ensure that there’s peace in our country,” the former military ruler said.